This tent has two doors in the tent body, and two vestibules with doors, for sheltered outside storage making it easy to get in and out of the night. Kelty Hug Clip. Kelty Connect pole connection. The Tent Body, Rain Fly, Pole Set, Stakes, Guylines, and Tent, Pole, & Stake Storage Bags are all in Like-New Condition. Features patent–pending mtnGLO Tent Light Technology using durable LED lights to illuminate the interior of your tent with enough light to sort gear, play cards and hang out with friends without blinding them with a headlamp. Note: Trekking pole does not included. · EASY SETUP-Designed with triangle structure, you just need a trekking pole to set up the tent, it can be. Pyramid Tent. Inner Tent Size: 230 x 90 x 125cm(90.55"x 35.43"x 49.21"). 1 x Camping Tent. Net weight: 590G(shelter 1). List: (shelter 1,peg 10, glue 1, wind rope 1). Fabric: 20D Both Sides Silicon. The inner tent and tent fly are made of 20D nylon with silicon coating, waterproof, wind-proof, chill-proof and breathable. Waterproof index: PU 4000mm . The outer space can be used to hold luggage. It sets up within minutes using the included 14 feet of suspension cord. - Survival Reflect Tent can be used for heat deflection, body heat insulation, and a rain and wind barrier. - Color: Silver. - Easy to set up with just the included 14 feet of suspension cord; no poles needed. While the remarkable 1.44 lbs. Can be pitched high off the ground or tight to the ground. Tie out on cone for hanging the mid from a tree. Vents covered with no-see-um netting. Specially designed cone to prevent deformation when using oddly shaped poles, paddles, sticks or skis. Instant and no need to set up. Material: Polyester. Tent size: 200 130 110cm / 6.56 4.27 3.61ft. 1 Camping Tent. 4 Tent Peg. 2 Tent Pole. The roof and door have been screened against mosquitoes, providing excellent ventilation and view. PU1000mm camouflage polyester fabric rainfly and PU1500mm polyester fabric ground sheet. 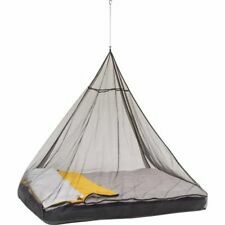 1 Piece Mosquito Net Tent. - Put your sleeping mat at the bottom, have a good and relax sleep. - Material: Polyester Fiber. People always bought together with. 1 Piece Storage Bag. 4 Pieces Pegs. - with storage bag and ground pegs, easy to carry. Unit Type: piece. All item in Good condition! Material: PET film. LIGHTWEIGHT & PORTABLE, flysheet weighs only 790g and inner tent weighs only 0.9 lbs (410 g). Total weight including fly sheet, inner tent, ropes, pegs and carrying bag is 1200g. For Hiking or cycling camping, choose a lightweight tent. Waterproof level: More than 5000mm. Material: 20D silicon coated nylon. Weight: fly sheet about 800g (weight of the flysheet only, no include the weight of accessories), pegs and ropes about 250g, support pole (gift) about 370g. Season: Three-season Tent. Pole Material: Aluminum. Style: Outdoor. Fabric: Nylon. Structure: One Bedroom. Descriptions: This product is designed as a simple survival shelter. It is very light, durable, tear resistant and extremely water repellent. Use it to catch water, as a sun break, or use your local surroundings and materials to shape the fly into a shelter. Perfect as an emergency shelter, or super light-weight jungle shelter/travel. Features: Stay Dry in Your Hammock In Rainy Conditions Updated Accessory - Qualified strong nylon rope, Stainless steel stakes. Thicker Corner that prevent the stress from the grommets. Better & Double seam taping from every sides. Stuff sack with set up instructions on back. Lightweight, waterproof, easy to assemble Support ropes.